We take our bikes seriously. K rides a Pashley Princess Sovereign and I ride a Brompton M6-L. These are the only bikes still made in England (Moulton, the only other bike I hope to own one day, is owned by Pashley). Riding our bikes in New York is fantastic. It’s a great way to get around the city without the hassle of traffic and it doubles as an extreme sport! If you want a little less adrenaline to pump during your ride, there’s a matrix of cycle routes on the island. One of the best city cycle paths I have ever ridden runs through the park alongside the Hudson River on the West side of Manhattan for about 6 miles. Sadly, nice bikes go missing all the time here, just like any other major city. 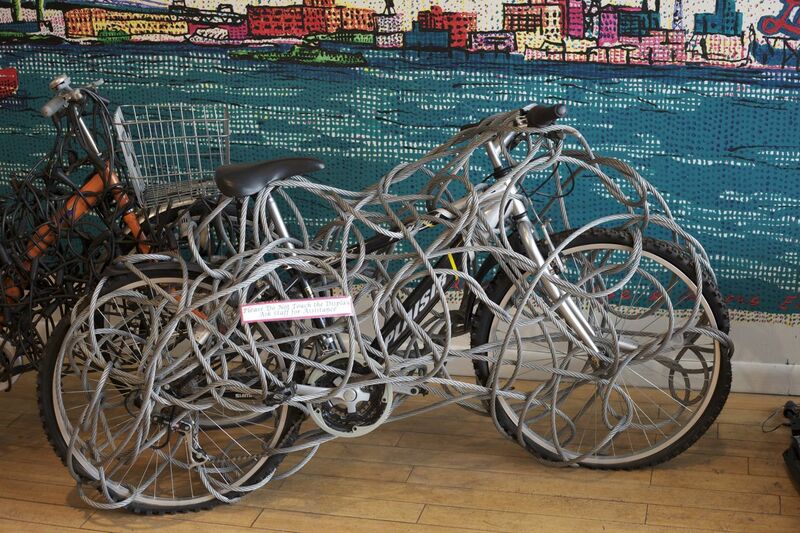 I laughed when I saw these two bikes in an art gallery in the Meat Packing District recently. I think they took bike security just one step too far. 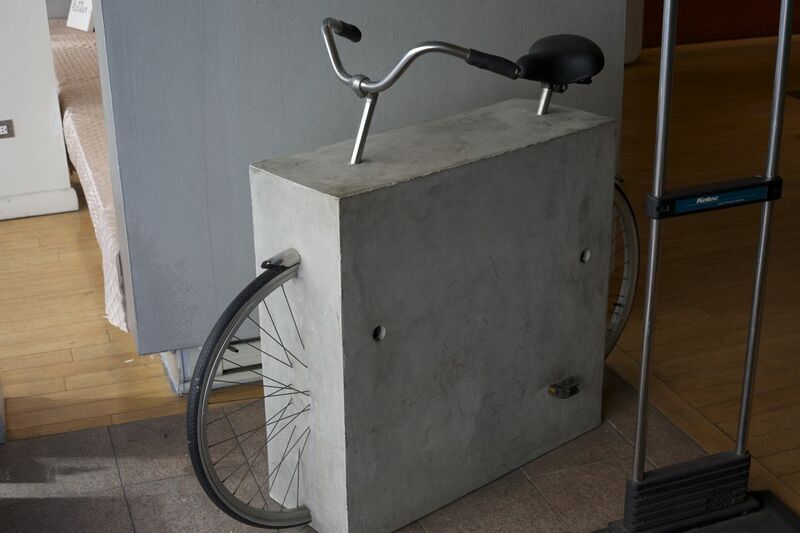 No need for a lock with this bike! Protected: Bryn learns to ride his bike!